"After 20 years of management, Mike launched MVM Consulting to help public media newsrooms manage growth and change." 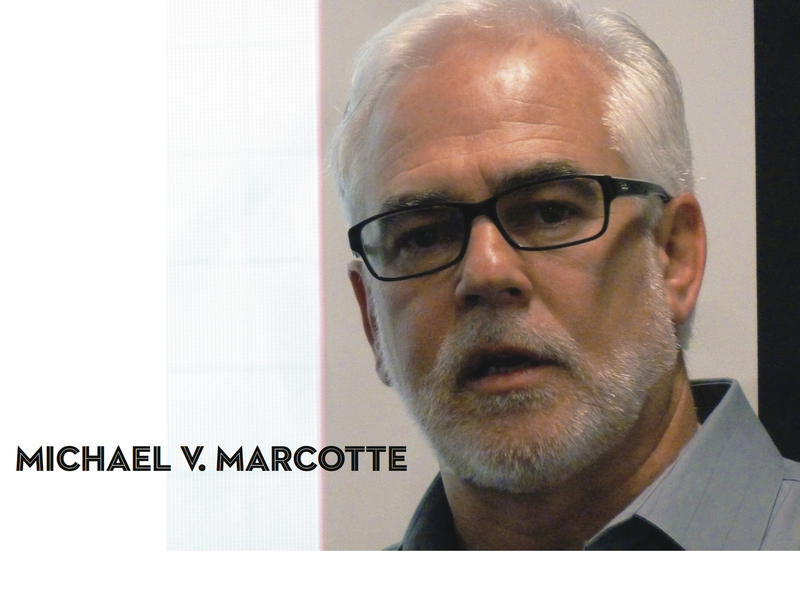 Michael V. Marcotte is a champion of powerful public media. His journalism career spans more than 30 years and includes work in newspaper, radio, television and online. He has managed top rated NPR news departments in San Diego and Seattle, worked for NPR and taught journalism at six universities. Mike's base of operations is now in beautiful Albuquerque, where he became the first Professor of Practice in Journalism at the University of New Mexico. Mike has defined the position, created to grow professional news training at UNM, by pressing for greater innovation and collaboration. To this end, Mike launched The New Mexico News Port, an experimental lab and website that publishes some 60 student journalists each semester. Mike continues to grow his consulting business. He was integral in the design and launch of the Indiana Public Broadcasting regional news collaborative In 2016, working in partnership with newsroom consultant Judith Smelser. Mike and Judith are well known to members of the Public Radio News Directors association, as they provide annual training and certification for news managers from around the country. In 2017, Mike is serving as local news consultant to the Democracy Fund, helping research and map the "local news ecosystem," looking for emerging opportunities where quality journalism may thrive in the future. Before arriving in New Mexico, Mike served as the Reynolds Chair of Ethics in Entrepreneurial and Innovative Journalism at the Reynolds School of Journalism, University of Nevada, Reno. There he taught ethics and spearheaded the "Nevada Media Alliance," an experiment in collaboration between the school and professional media. Mike was named a Stanford University Knight Journalism Fellow for 2010-201 -- where he focused on social entrepreneurism, non-profit management, public media leadership, ethics and innovation, data visualization and social network theory. Other career highlights include Mike's election as president of PRNDI, the national association for public radio news directors, during which he undertook a major strategic planning initiative to reorient the organization for greater impact and broader membership service. Mike has routinely volunteered on boards, panels and projects to help serve the industry, the academy and the audience of public service broadcasting. Mike earned a bachelors and masters degree in journalism from the Grady College of Journalism at the University of Georgia. After 20 years of news management, Mike launched MVM Consulting so that he could focus on the needs of public media newsrooms during this time of dramatic change. Mike believes that urgency is needed now to elevate the role of journalism at public broadcast stations. In many cases this requires station reorganization to support the news mission on multiple platforms. Mike also advocates for better relations between local NPR stations and the NPR network based in Washington -- as a means to a more integrated system of powerful public service journalism in America.